In line with our email notification on August 21st 2014 of recent changes to our storage policy for Bamboo Cloud, we now announce the roll out of scheduled artifacts and logs expiry for all Bamboo Cloud accounts. Scheduled artifacts and logs expiry will be turned on for all Bamboo accounts on Monday 27 October 2014.
all log files larger than 10MB and older than 30 days. We will continue to store all results data on our servers indefinitely , so you have access to your entire results history. Log files under 10MB will be retained indefinitely. Should you need to retain artifacts or large log files for longer, we recommend transferring them to an archive outside the Atlassian Cloud system as a final task in your build jobs. 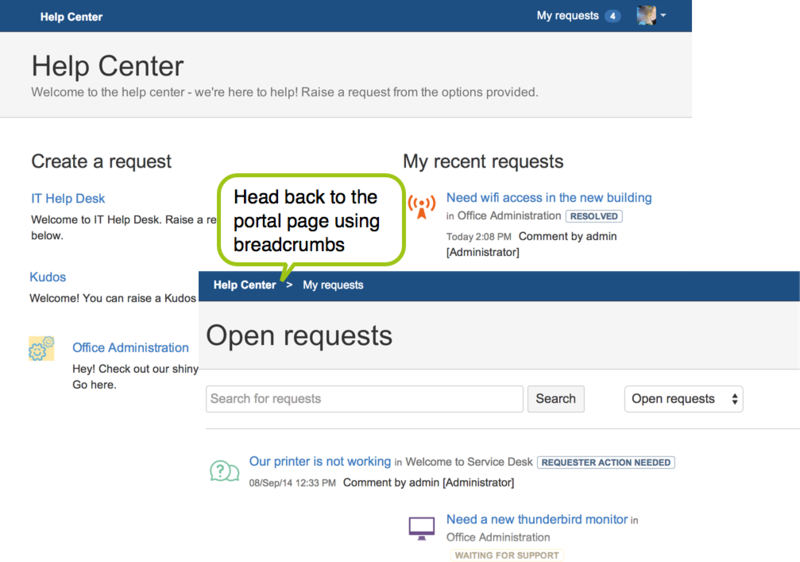 Starting from this version of JIRA Service Desk, every service desk will get an OnDemand email account to use for the email channel in addition to your own email account. This OnDemand email account is activated when you enable the email channel for a project. You can change the email address of this default email account by hovering over it and editing the address. Note: If you've already set up your email channel prior to this version and want to use this OnDemand email account, you need to turn off your email requests and then re-enable it. How does the default OnDemand email account work? When you enable the email channel for a service desk, an email account is automatically created in the OnDemand system for the service desk and your customers can contact your service desk by sending emails to it. You can modify the email address at any time. Note that messages sent to previous email addresses are not processed. This email account is a postman between your customers and the service desk and it is not accessible in other ways, that is you can not log in to check the messages in it. We’ve overhauled the Confluence editor, giving you more space to bring your ideas to life. Page or blog titles and breadcrumbs now appear below the toolbar, and scroll with the page, meaning no wasted space when you’re editing. Just enter your title, then scroll it away to focus on your content. Because the new-look editor saves so much space, there’s no longer a need for the full screen editor view, so we’ve consigned that to the history books. We’ve also tweaked the toolbar, giving it a flatter, more integrated look. We've changed how the Insert > Images menu item works in the editor. 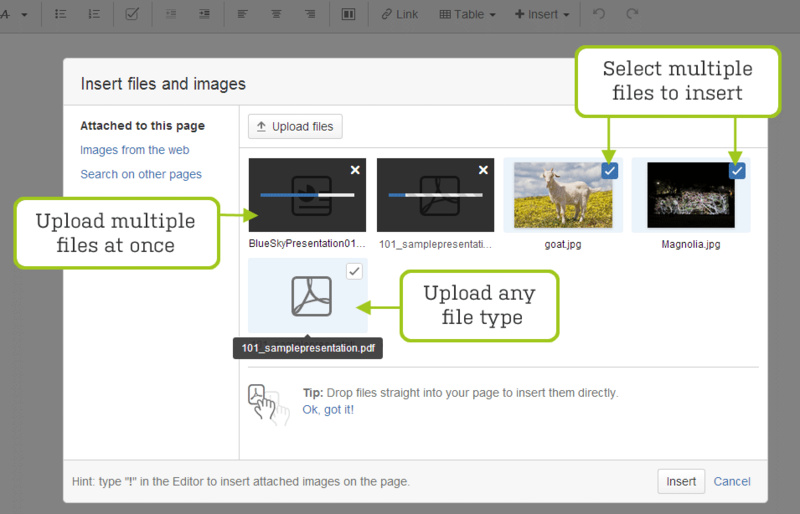 It's now called Images and Files and allows you to select multiple files to upload and insert into your page! Image files will be displayed on the page and large images will be resized down to the same height. All other file types are inserted as a link to the attached file. You can upload any type of file, and see the progress of the upload (you do need to wait for all files to finish uploading before you can insert them). Create simple, visual roadmaps that are great for projects, releases or just planning the year ahead with the new Roadmap Planner macro. 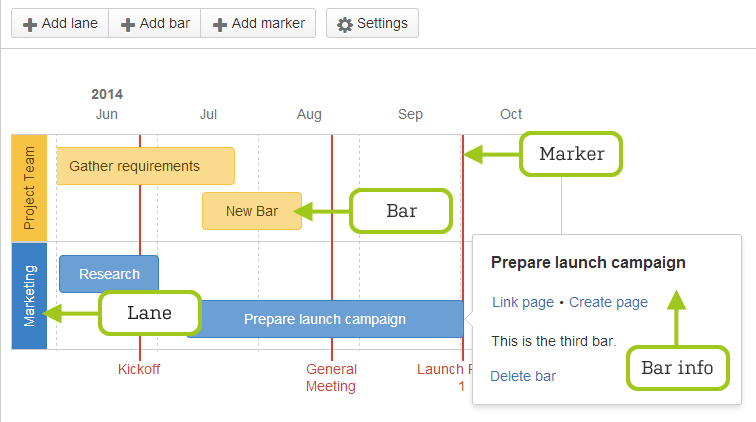 Lanes differentiate teams, products or stages, markers highlight milestones and important dates and bars indicate phases of work and provide links to more information. To create a roadmap simply insert the macro, add some lanes, bars and markers then drag them to the right location. 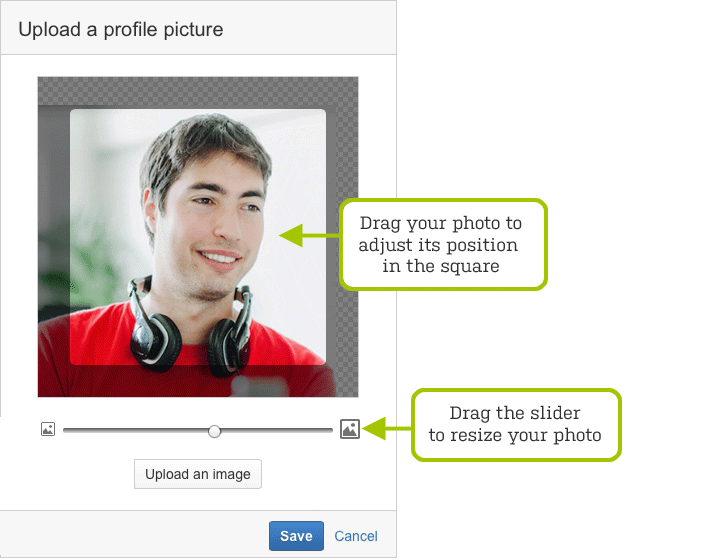 Resize and reposition your profile picture when you upload it to Confluence, to ensure your pages, posts, comments, and @mentions look their best. If you've chosen one of the built-in Confluence profile pictures, we won't change it, but we're retiring the built-in pictures as we believe you can find much better pictures to make your profile shine. So upload any photo you like, and adjust it to get just the right look. The new user interface is much easier to parse with color-coded tabs that are much more descriptive. Like it? Don't like it? We're always looking for feedback — click the Get feedback button on the Version details page to let us know what you think. The Version details page now warns you if your version has issues that are Done, but have open reviews. To keep improving our customers experience and JIRA's efficiency, we've removed the News Gadget. We've also implemented a number of bug fixes and performance improvements to try make JIRA a more efficient cloud application.